Nobody knows the Nürburgring quite like Sabine Schmitz, but a Skoda SUV is an unlikely choice of wheels for a record-breaking lap of the ‘Green Hell’. The flagship Skoda Kodiaq vRS will make its public debut at the 2018 Paris Motor Show, but no new performance car is complete without a lap of the Nürburgring to its name. We’ll have to wait a couple of days before the full video is revealed, but – spoiler alert – Skoda claims that it’s a “sensational record-breaking lap”. We suspect Skoda is chasing the lap record for a seven-seat SUV, rather than the 7 minute 51.7 second set by the Alfa Romeo Stelvio last year. Alfa’s reign at the top of the fastest SUV lap board might be short-lived, as Lamborghini is likely to send the Urus on a tour of the 12.9-mile circuit this summer. Alternatively, maybe the Czech company is gunning for the fastest lap… by a Skoda. This teaser video reveals the preparations that went into the camouflaged Kodiaq vRS’ record attempt at the Nordschleife, with the full video revealed on 14 June. The Skoda Kodiaq vRS is expected to be a powered by a 2.0-litre twin-turbocharged diesel engine developing around 240hp and 369lb ft of torque. To cope with all that power, the vRS is likely to be offered in four-wheel drive form, with five- and seven-seat versions available. Speaking of seats, we rather like the look of the high-backed bucket-style chairs Sabine’s showing off in Skoda’s teaser image. The performance Kodiaq will be sold alongside the Octavia vRS, with the UK expected to be a lucrative market for the hot SUV. Around 1 in 5 of all Octavias sold in the UK leave the factory with a vRS badge, with diesel versions accounting for the majority of sales. Prices are likely to be revealed in Paris, but with a seven-seat Kodiaq Sportline costing upwards of £33,135. we wouldn’t expect much change from £35,000. More news, including the full lap of the Nürburgring, when we get it. 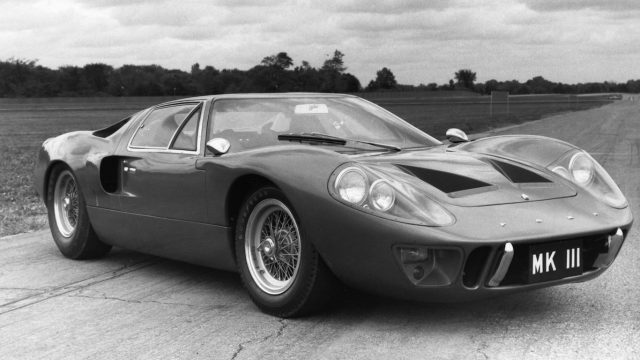 The genesis of the original GT40 came from a dispute between Henry Ford II and Enzo Ferrari. Ford had wanted to buy the Italian manufacturer in 1963, yet found Ferrari unwilling to step away from the Indianapolis 500, which would have placed the two marques in direct competition. 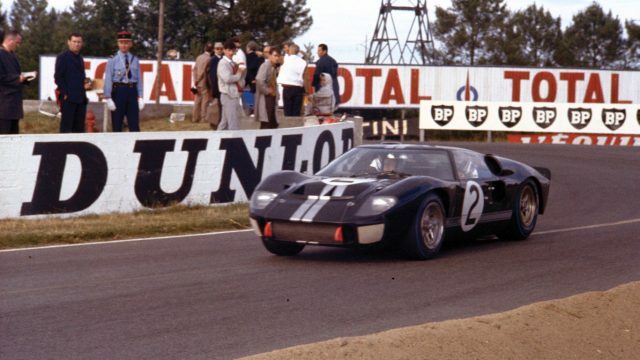 The deal failed, and Henry Ford II directed his company to find a way to enact revenge on-track at Le Mans. Ford initially courted Lola Cars, Lotus and Cooper for a partner to build its new Le Mans racer. Lola was eventually chosen, in part due to the fact the Lola Mk6 race car already made use of a Ford V8 engine. Lola donated two Mk6 chassis from its factory in Slough, while Ford set about creating a team to develop and build its new race machine. 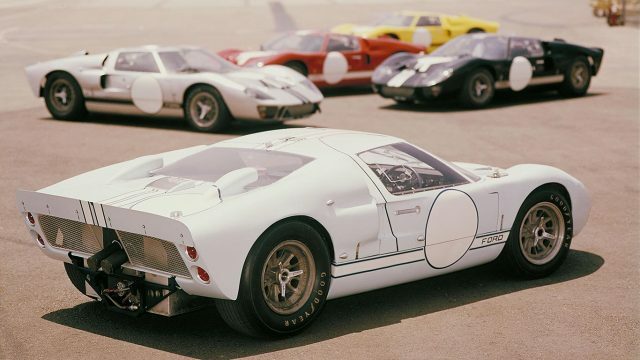 The newly created Ford Advanced Vehicles team set about development of the GT40. Early prototypes made use of a mid-mounted 255 cubic inch (4.2-litre) Ford V8, while later cars would use a 289 cubic inch (4.7-litre) unit. Famously, the GT40 name came from the overall height of the car: just 40 inches. For 1965, Ford switched management of the GT40 to Carroll Shelby, following his successes with the Ford-powered Shelby Daytona Coupe. 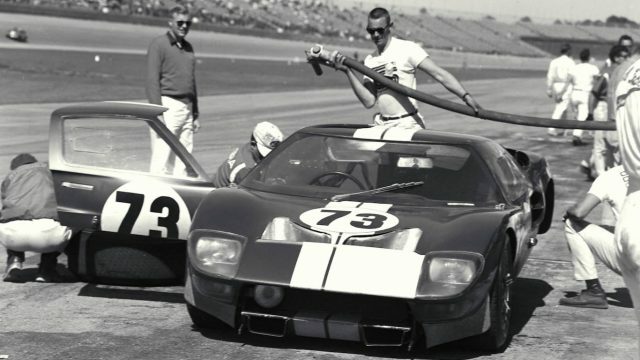 Victory came immediately, with a win for Ken Miles and Lloyd Ruby at the Daytona 2,000km race, with Bob Bondurant and Richie Ginther taking third in a sister GT40. 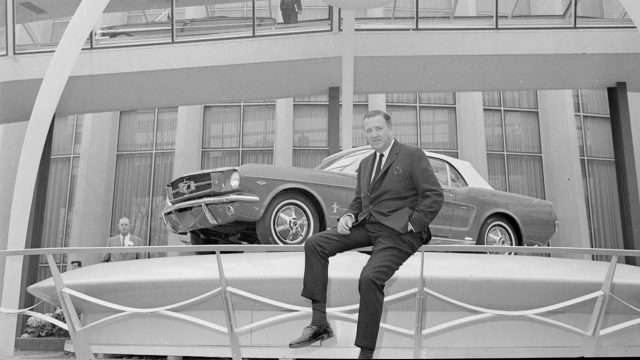 Yet the remainder of 1965 would prove fruitless, with no more wins for Ford. 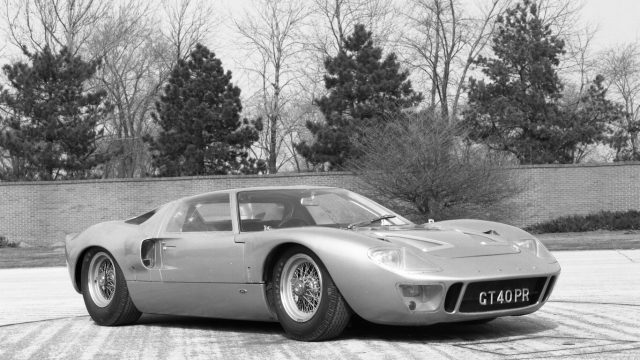 Road versions of the GT40 soon rolled out of the factory, with the first example delivered to the US in early 1966. Although the Mk1 road cars had softer suspension, quieter exhausts and options such as air-conditioning and leather seats, they still featured a 335hp V8 engine. The car above was owned by the same family for nearly 40 years. Values today can top £4million. The Mk2 may have looked similar to its predecessor, but there were numerous changes beneath the bodywork. 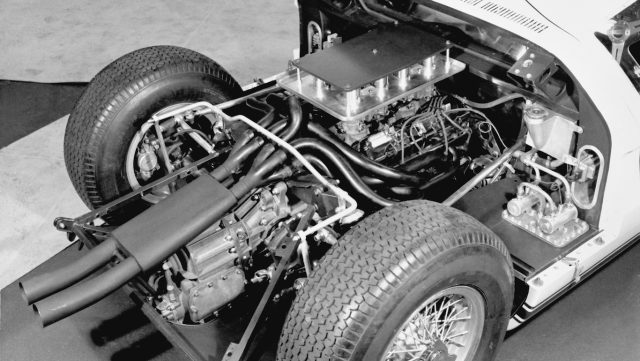 In came a 427 cubic inch (7.0-litre) Ford FE engine, with an exhaust system nicknamed ‘a bundle of snakes’ for its elaborate design. A strengthened gearbox was also used, featuring just four speeds instead of the five found in the Mk1. 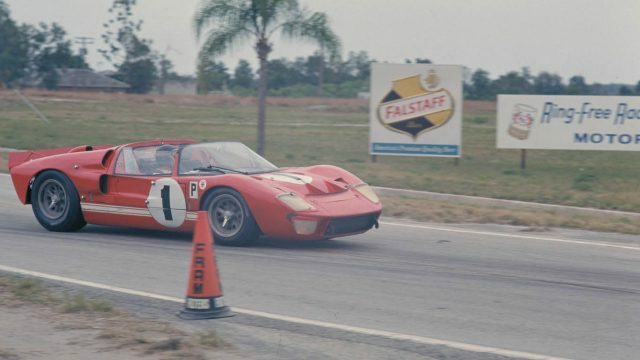 Finishing 1-2-3-5 in the ’66 Daytona 24 Hours proved the changes were a good move, and set Ford on the path to glory. Initially created for Bruce McLaren Racing in 1965 with a low-drag windscreen, on return to Ford the one-off roadster was updated to Mk2 specification for Shelby American. Its only race event came at the 1966 12 Hours of Sebring where, after experimenting with automatic gearboxes during practice, a manual transmission was fitted for the race. When the engine of the lead GT40 Mk2 seized, the X-1 Roadster of Miles and Ruby slipped through to victory. After years of frustration, 1966 would finally deliver the success Henry Ford II had been seeking. 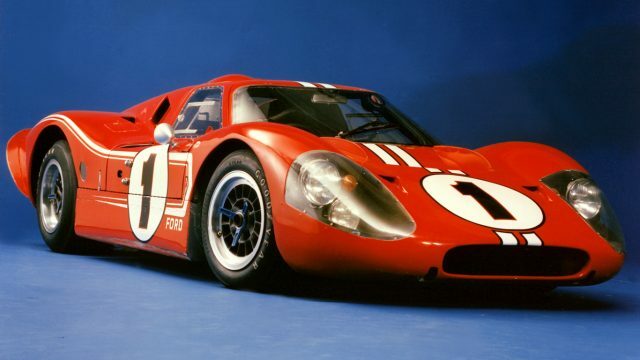 While Ferrari floundered as reliability issues struck the 330 P3, Ford took a dominant 1-2-3 finish. The result was not without controversy, though, thanks to Ford’s decision to stage a photo finish. Ken Miles, upset at a lack of recognition for his dedication to the GT40 project, deliberately slowed down to let the car of Bruce McLaren and Chris Amon take the win. 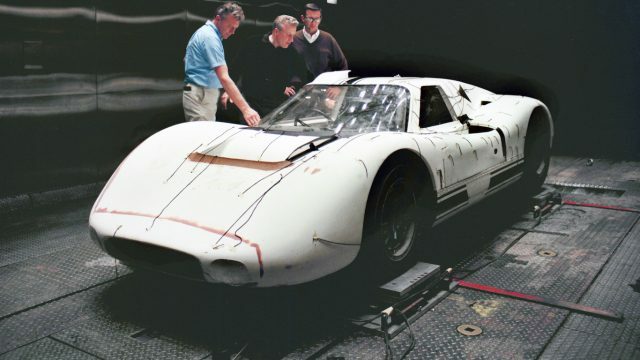 As the GT40 race car was cleaning up on track, a bespoke road-going version was being readied. 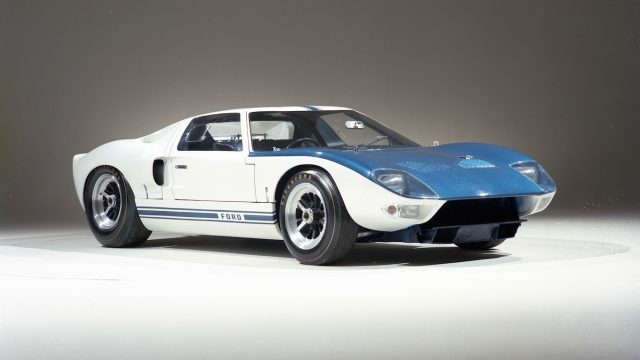 Unlike previous street-legal GT40s, the MkIII had specific features to make it suited to the highway. An elongated rear gave access to a luggage compartment, while the bumpers gained small chrome overriders. Unlike the race cars, there was no bigger engine, with power still coming from the 289 cubic inch (4.2-litre) V8. Only seven examples of the MkIII were built, with just three in right-hand drive. Despite the success of the MkII GT40, Ford didn’t rest on its laurels and set about developing the car even further. With power now sufficient, experimental aerodynamic changes to maximise the muscle were made throughout 1966 and 1967, along with a lightened chassis. Tragedy struck during a test session, when famed driver Ken Miles was killed in a high-speed accident at Riverside International Raceway, with blame laid at the lack of downforce from the aero modifications. The experimental flat-topped roof of the J-car was dropped, but the resulting MkIV still managed to look distinctive. Lengthened and streamlined to achieve a higher top speed, the MkIV also had a lightened chassis. The death of Ken Miles was not in vain, with a high-strength roll cage also being fitted. Although the MkIV only entered two races, it claimed a 100% success rate, with victories in the 1967 12 Hours of Sebring and 24 Hours of Le Mans. Concerned by the high speeds seen during the 1967 24 Hours of Le Mans, the FIA capped engine sizes at 5.0-litres for cars in the Sports class in 1968. This ruled out the MkII and MkIV versions of the GT40, but meant the earlier, smaller-engined Mk1 was still eligible. Now with reliability on its side, the Mk1 took overall victory in 1968, driven by Pedro Rodriguez and Lucien Bianchi. 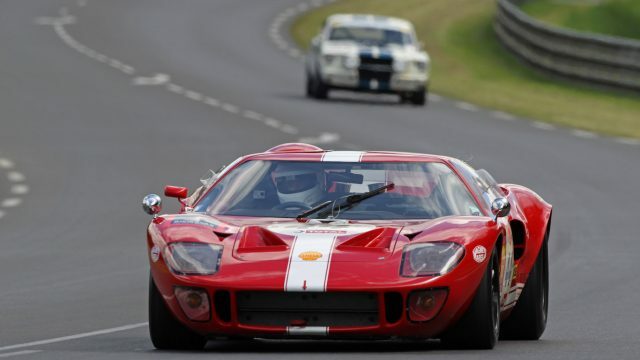 It would repeat the same feat in 1969 with Jackie Ickx and Jackie Oliver driving, taking the total number of outright Le Mans wins for the GT40 to four in a row. Koenigsegg has revealed a fault with a front ABS wheel sensor was the cause of its severe high-speed smash at the Nürburgring on Monday 18 July – but the Swedish supercar company has said it WILL return to the Nordschleife to go lap record-chasing. Because the ABS system was faulty, the Koenigsegg One:1 hypercar locked its front brakes at 170km/h (105mph) going into the tricky Fuchsrohre section, revealed Koenigsegg: its data shows the car hit a fence at 110km/h and was launched into the air for 22 metres. The car turned 180 degrees, landed on its left rear wheel and pivoted to finally land parallel to the fence. A small fire followed in the rear section, but this was traced to the carbonfibre bodywork making contact with the hot exhausts: the fuel shut-off system worked as it should, as did the airbags and other safety systems. So why wasn’t the unnamed driver aware of the fault? Koenigsegg says that a warning light was glowing to say there was a fault with the ABS system – but as it’s a small light located in the centre of the dash, the helmet-clad driver didn’t spot it. To be honest, they were probably concentrated on other things. Koenigsegg engineers took time out at the Swedish factory on Wednesday 20 July trying to replicate the fault: they disconnected the front left wheel ABS sensor and braked hard from high speed. 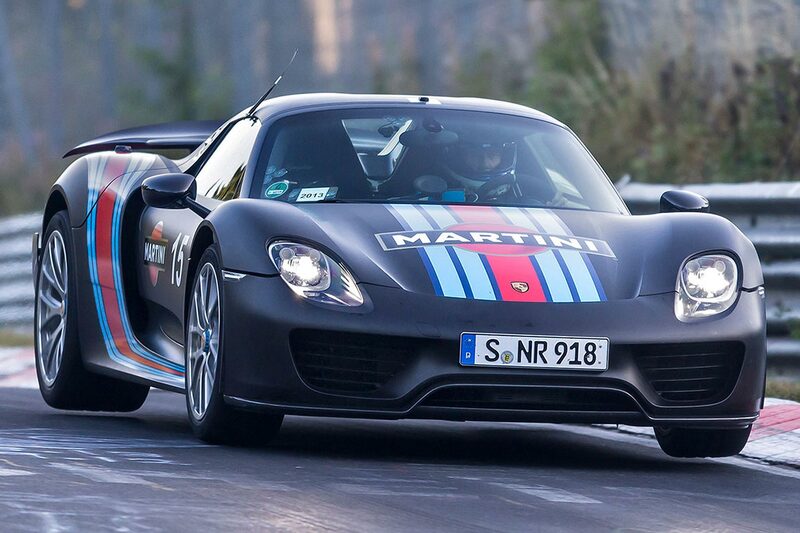 The behaviour of the car exactly matched that of the Nürburgring crash. Koenigsegg now has the crashed One:1 back in the workshop at its HQ, and today has released an image of the disassembled car. As you can see, it’s stood up to the high-speed crash well, and even both doors could be opened and closed cleanly. The crash hasn’t put Koenigsegg off chasing a new record Nürburgring time either, but the company says it will take some time out to rebuild the car and roll out technical updates that will be fitted to customer cars too. Oh, and how is the driver? Fine. He went to hospital for precautionary tests, but was released later the same afternoon. Koenigsegg even thanked him for putting out the fire straight after the incident. Nürburgring circuit bosses have announced speed limits are “to become a thing of the past as of 2016” thanks to circuit upgrade work set to commence in November 2015. The ‘safety on the Nordschleife’ round table has already presented the planned changes to the German motorsport association DMSB, ADAC, the car industry, racing teams, race drivers and other interested bodies – “finding wide approval”. The circuit will now thus include the planned changes as part of its application to renew its circuit approval with the FIA, which expires at the end of 2015. Circuit owners capricorn Nürburgring GmbH say the changes will bring to an end the controversial speed limits that have been imposed at the Nordschelife circuit since a spectator was killed in an accident at the VLN Endurance Championship race in March. Crucially, promise circuit bosses, “the unique character of the Nordschleife will be preserved”. “Safety on the Nordschleife during races, but also during test drives of the industry and during tourist ride sessions, is our highest priority,” said Carsten Schumacher, managing director of Nürburgring operator CNG. His team have thus proposed 16 upgrades for the circuit, seven of which will be in place by the start of the 2016 season. 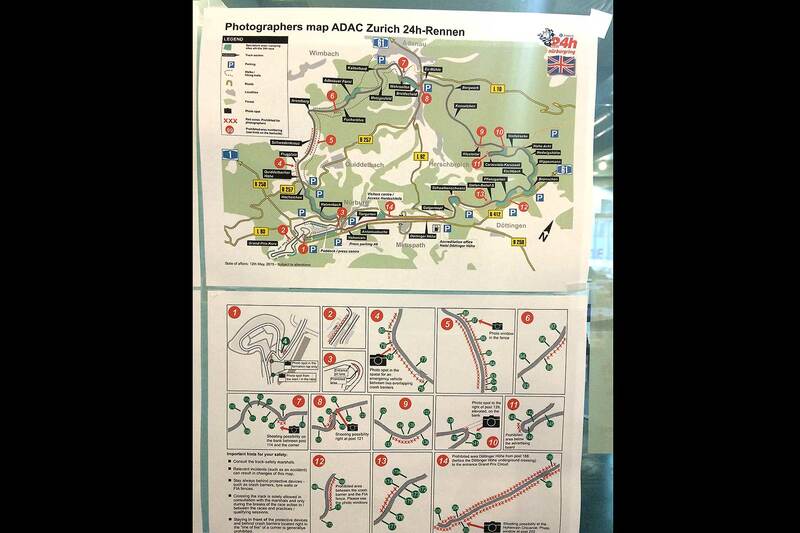 Upgrades include extra safety fences in several areas, plus a restricted zone in the Schwedenkreuz area (5km into a full lap of the Nordschleife). FIA-grade safety fences will be installed in the Döttinger Höhe section, which runs parallel to a public road. 500 metres of track through the Flugplatz section will be renewed as well – “smoothing out five bumps which are the result of years of high utilisation and heavy use” said Schumacher. The proposed changes will now be submitted by the German motorsport association to the FIA’s Circuit Commission for formal approval. Nürburgring lap time record runs could be set to return if rumours that the 2015 safety-related speed limits could be lifted are true. U.S. title Road and Track has been told by a “senior auto industry source” that Nürburgring owner Capricorn Nürburgring GmbH may soon announce the speed limit restrictions in several areas of the track are no more. The speed limits were imposed after a spectator was killed when the factor Nissan GT-R of Jann Mardenborough flipped at Flugplatz in March; they remained in place for the 2015 Nürburgring 24 Hour race. We’ve reached out to Nürburgring officials for more news; we’ll keep you updated. 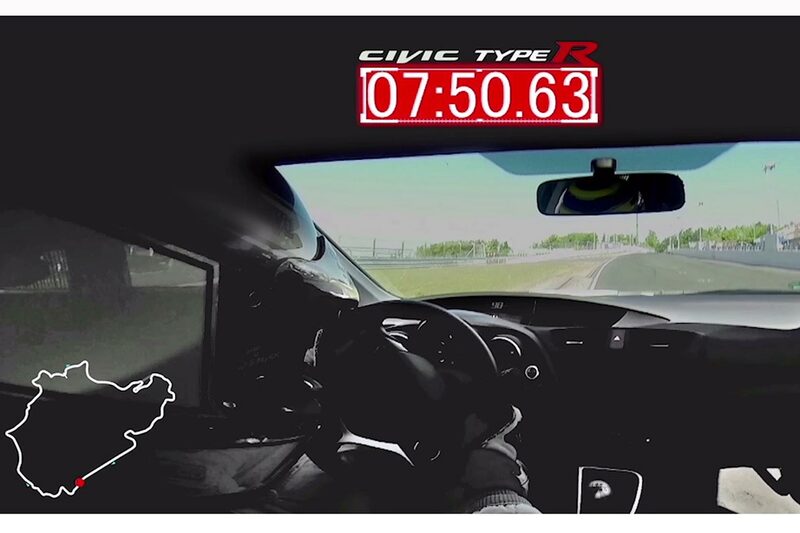 https://www.motoringresearch.com/wp-content/uploads/2015/03/Honda-Civic-Type-R-Nurburgring-1.jpg 1306 1960 https://www.motoringresearch.com/wp-content/uploads/2018/12/mr-top-motoring.svg 2015-07-06 09:06:122015-07-06 09:06:12Nürburgring lap time runs to return? The battle of the Nürburgring lap time may be over as news emerges that circuit chiefs have banned car manufacturers from undertaking timed lap record runs. The news, first revealed by website Apex, is due to the imposition of safety-related speed limits in certain areas of the track. These were set up following the death of a spectator after a crash earlier this year. The Apex crew revealed they were contacted by circuit bosses this week informing them of the restrictions – just days before they were due to spend a week at the circuit filming a lap record attempt by the Koenigsegg One:1 hypercar. These were imposed, successfully, during the 2015 Nürburgring 24-hour race. “capricorn NÜRBURGRING GmbH has decided to extend these speed limits to other activities on the Nordschleife, which is why record drives are currently not permitted on the Nürburgring Nordschleife”. So there we are: it seems our list of Nürburgring fastest lap times is set in stone until at least the end of the year. 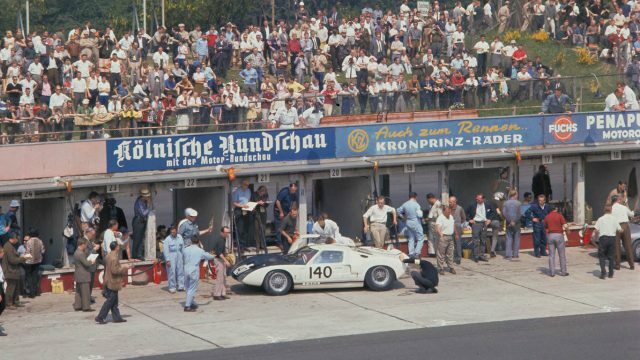 I’d say the Nürburgring 24 Hours is motor racing’s biggest undiscovered secret, but, given how there are umpteen hundred thousand people right now pouring into the Ring with three things on their mind – racing, beer and Frankfurters – I’d perhaps not technically be quite right. 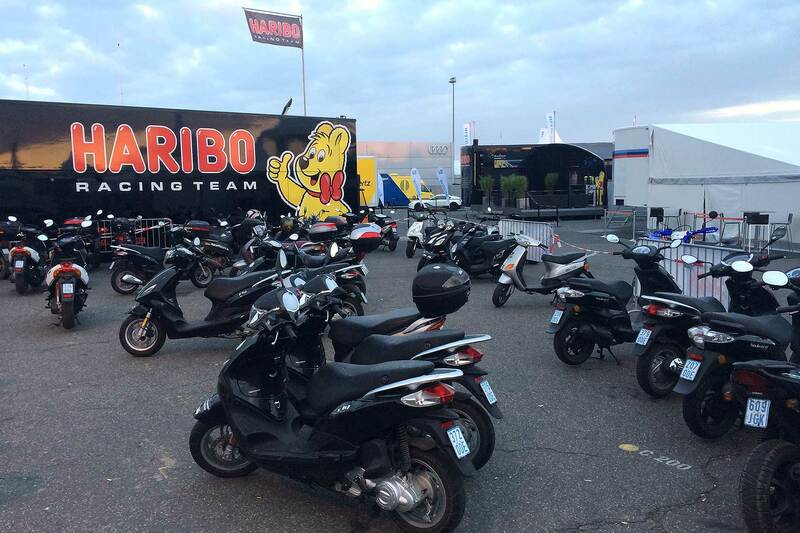 So that was #N24h 2015. It suddenly got very busy for me in the final hours, so hopefully the links below sufficed, and helped you watch the #28 Audi beat the #25 BMW by 40 seconds, the closest N24 finish since 1970. 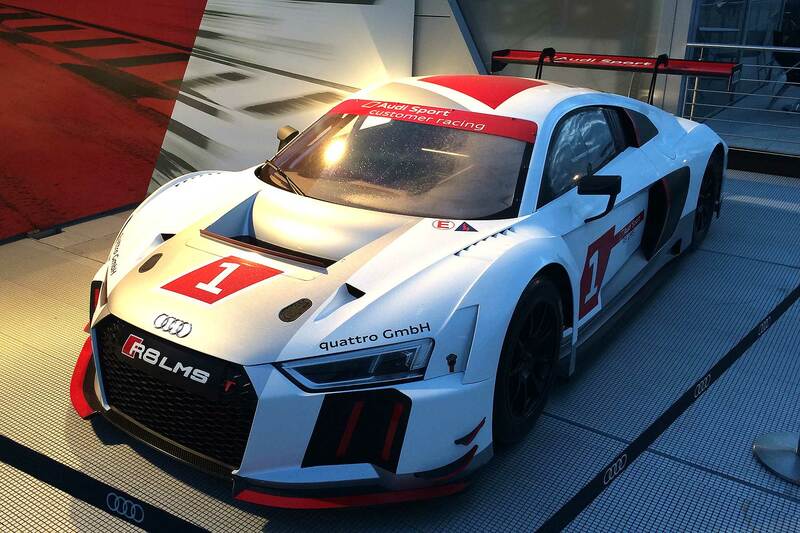 So, the new R8 LMS wins on its race debut… bit ominous, that. The Falken Porsche was third, Aston’s #007 car finished a fine 16th after an incident-packed race and, fittingly, Dr. Bez drove home the #49 car to a fine SP8 victory, 10 years after yellow ‘Rose’ it’s painted in tribute to first introduced Aston Martin to racing at the Nurburgring. 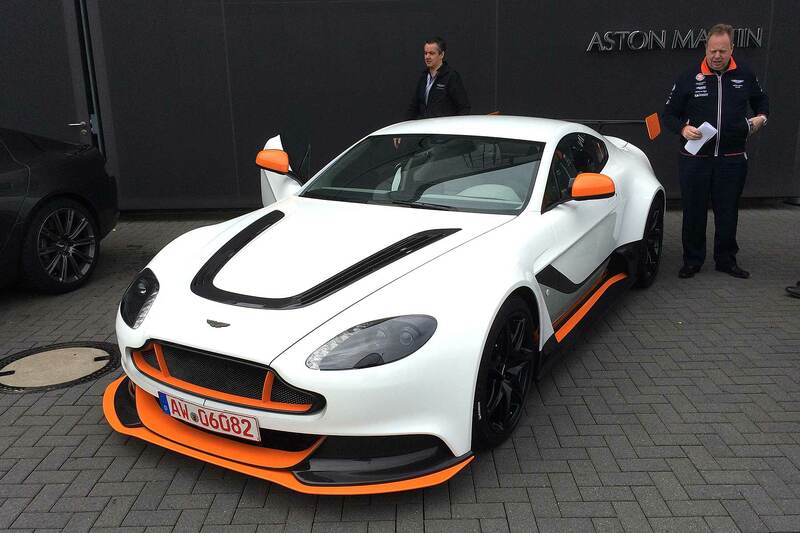 But already Aston’s attention is turning to Le Mans, on 13/14 June, where it’s entering another five GTE cars. My attention? On wrapping up N24, which is something I’ll do after I’ve caught a bit of kip. It’s been in short supply this weekend but after such a breathless, brilliant race, I don’t mind one bit. Oh, and I’m already making plans to be there next year. You? 14:07: And the leader now is..? Some context for the Aston #007 recovery: it lost an hour because of the slip-tangle on oil (it ended up half-resting on the barrier, and needed recovery back to the pits). 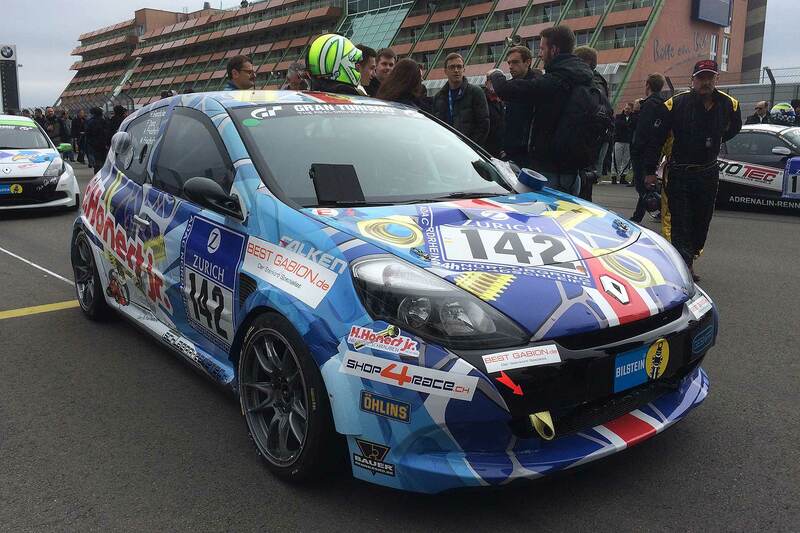 Following repairs, it emerged well down – but is now charging and getting back into the top 20 is a real achievement. Aston back in the top 20, Bentley still in the top 10, and it’s still super-close between the all-new Audi R8 LMS (on its 24 hour race debut!) and the BMW Z4 GT3. For by-the-second timing, check out livetiming.tracktime.info. Oh, and if you want #N24h 2015 race stats, look no further. Remember that the #007 Vantage GT3 is still working its way back up the field and the #49 Vantage N430 and #48 Vantage GT12 will lead SP8. In short order, the #006 Aston has had to retire due to driveline issues, and the #50 car that was way ahead in the lead of SP8 has also been forced out after a shunt by Andreas Guelden left the car too badly damaged to continue. There are no words, really. I think Chris Harris summed it up rather well (no embed as, understandably, it’s a bit sweary!). Tough night for Audi’s swish new R8 LMS; both Phoenix Racing #001 and #004 cars crashed during the night (one of them hitting the #007 Aston along the way, it seems). So it’s now down to the #28 car, currently in third (but actually still trading for the lead; we’re currently in a pitstop run). It was a particular surprise for the #001 car to crash, at Pflanzgarten, at around 01:30, as Audi Sport was dominating up to that point. It was a big crash too, involving a barrel roll for driver Christian Mamerow and a subsequent hospital visit for a check-up (he’s OK). It’s left the BMW Z4 GT3 and Mercedes-Benz SLS AMG to dominate the upper places, along with the Falken Porsche of Peter Dumbreck and crew, plus that #006 Aston. Want a more detailed overnight update? Head over to dailysportscar.com – and for live updates via twitter, check out @dscracelive. 06:41: But what about the Astons? 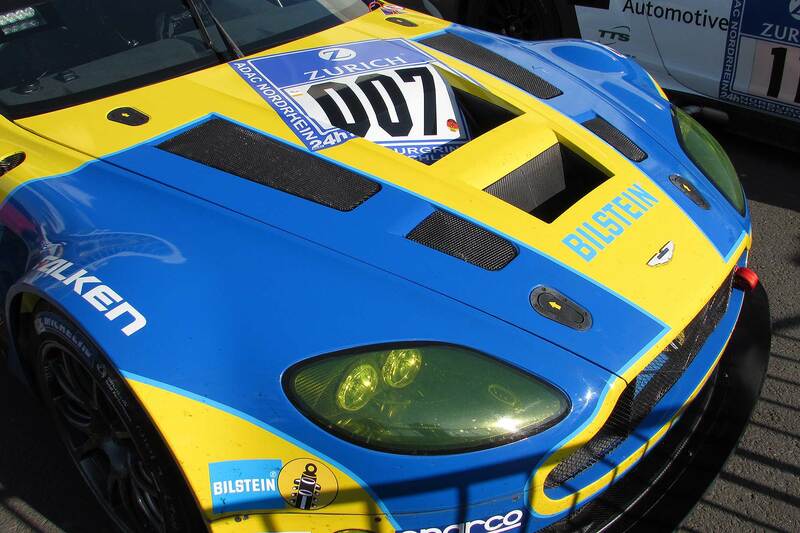 AMR update: the #006 Vantage GT3 is still in the top 10, but what about the #007? Well, about two hours ago, Stefan Mucke had an off due to oil on the track. He got it back to the pits for repairs, and was out again in less than half an hour, but the car is now down in 25th, currently on 85 laps compared to the race leader’s 92. Still fighting though! In SP8, meanwhile, Chris Harris’ GT12 continues to lead the class – and is actually a place ahead of the #007 car on track. They’ve a little way to go before they match 2008’s best-ever SP8 finish of 18th; maybe a bit of attrition will help them along. Either way, they’re well ahead of the next runner in SP8 – and that’s actually an Aston too, the #49 car of Dr. Bez and his team. In the pits, there’s barely a spectator to be seen. On the grandstands, though, a few hardy souls remain. 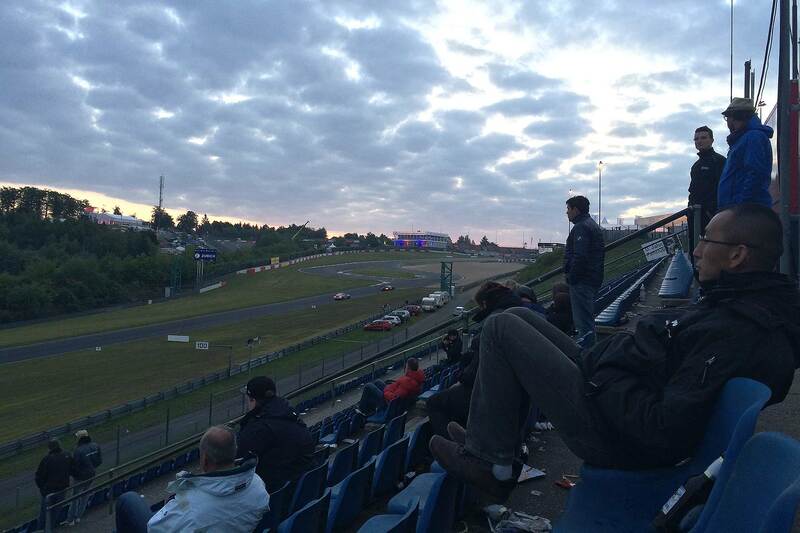 Or, like me, got up pre-sunrise for an #N24h equivalent of an Ibiza moment. Either way, we all thought it was quite special as we sat there quite still, watching race cars, trying to stay warm, trying not to knock over the beer bottles littered everywhere or accidentally tred in half-eaten boxes of chips and mayo. Discovery of the day already: the Opel Manta foxtail is on Twitter! Clever foxtail. Maybe I should’ve interviewed it yesterday. For the past couple of hours, after a bit of kip, I’ve been up and exploring. 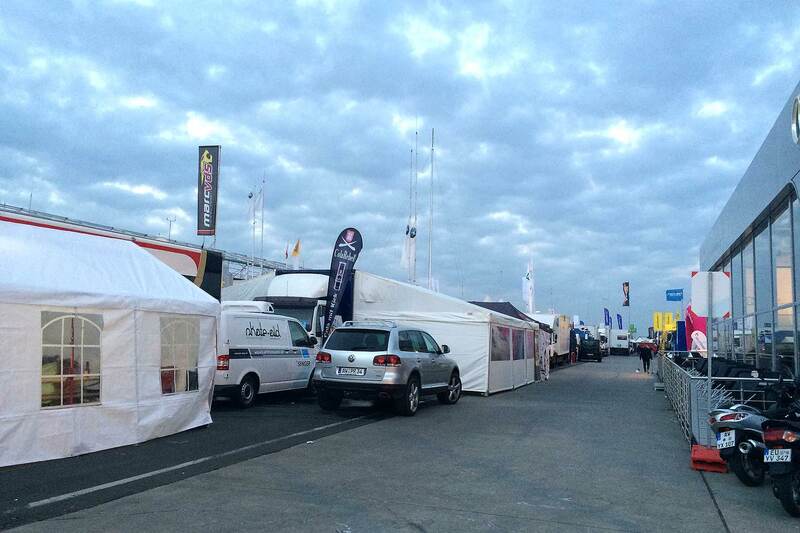 Early doors is my favourite bit of a 24 hour race. In the deserted still of the morning, the contrast of full-bore racing cars still charging hard is vivid; they’ve already been going non-stop for half a day and it’s now you really get a sense of the endurance they go through. Later on in the day, it’s sometimes easy to forget they’ve been doing this for coming up to a day; not now, where it seems more than special that they’re all able to do what they do for so long. Me, I’m warming up again and have found coffee, so I’m OK. 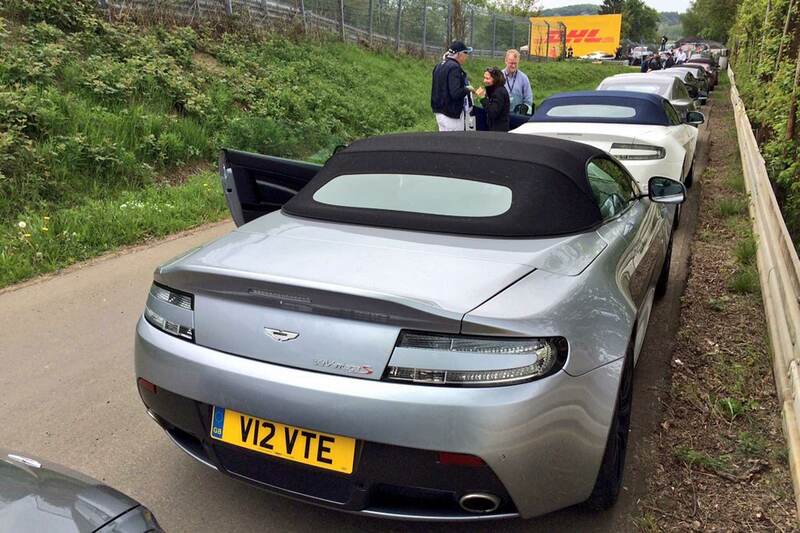 Excellent early #N24 roundup by Stuart Codling. Says it all perfectly. 23:44: Blimey, Bentley – top work! Walked back through the pits; there are few more evocative places at night. Lights blazing a warm yellow glow, activity intermittently frenzied and umpteen people standing about with a cheeky fag, I could mill around there all night. Easy for me to say: I don’t have the stress of either engineering a race car or gearing up to drive it. Or, it seems, worry about where the next beer’s coming from. Yup, just behind the busy team trucks, it’s party time: some hospitality trucks even boast dance floors and celeb bars (I’m not kidding), although the dancing I’ve just seen going on in one of them is going to be burned onto my brain for a long time. It was… of the drunk dad at a wedding who thinks he’s actually at Pasha, and half his age, and David Gandy, and full of rhythm and soul level. It wasn’t pretty. Looks like rain over in sector 4 is causing all sorts of headaches. There are cars going in there on the timing screens and not emerging until 90 seconds, 2 minutes, 3 minutes later than they should. Some, such as the #90 Porsche, don’t emerge at all. The epicentre appears to be the Karussel. Sadly, there’s a lack of live coverage when it’s dark – it’s expensive to light up nearly 25km of track and helicopters can’t see in the dark. Perhaps they should get some of those thermal sensors like they have on Police, Camera, Action!. Commentary by Alastair Stewart optional. The #85 Bentley had a prang earlier and had to be towed back to the pits, teeth-pullingly slowly. Since then, it’s been in for repairs. More British heartache. Brit Adam Christo was doing brilliantly in the #002 Merc SLS-AMG… until his rear wheel worked loose and fell off. Quick as a flash, Adam jumped out, picked up the wheel and dived into the passenger footwell to retrieve the jack and wheel brace. By now, marshalls were on hand and they initially tried to lift the car to help get him on his way. Then, reality dawned… Adam’s head sunk back… realisation came, that it was not a trackside fix. It was painful to watch. PR star Rebecca Jones summed it up well. 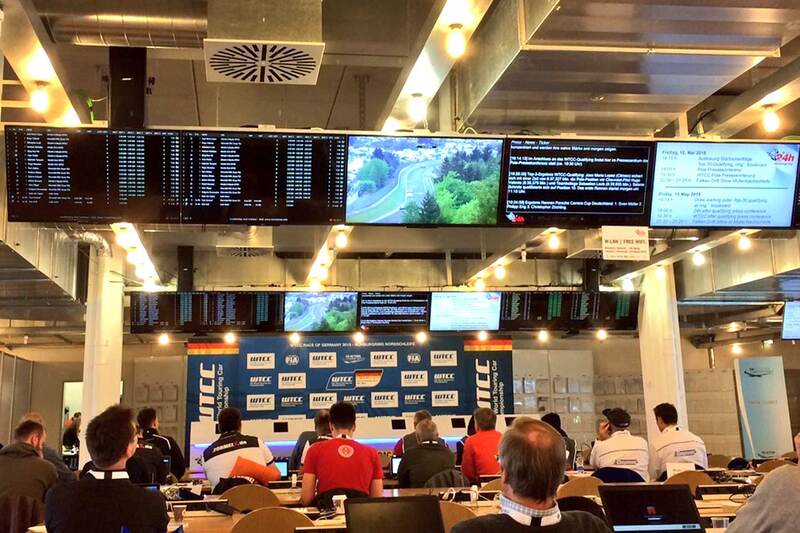 Check out livetiming.com’s detail-tastic #N24h page. 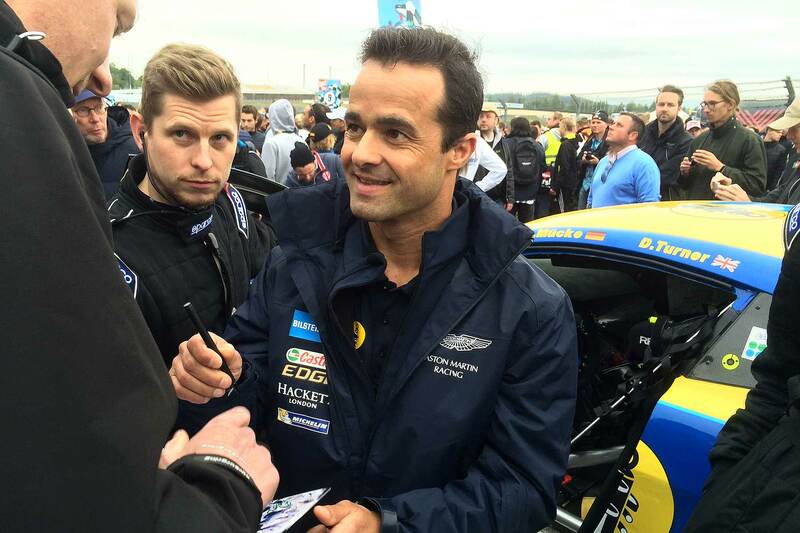 Insight from Aston’s Mel earlier, who was chatting to the racers yesterday. The big challenge here, they said, is tyres: when they’re fresh, they’re on a knife-edge. When they’re worn, they’re on a knife-edge. When they’re in the zone, just the slightest stray off line will pick up marbles and introduce fearsome, filling-shaking vibrations into the car. And when you’ve so much traffic to deal with, you’re going off line a lot. Imagine such a fine balance when you’re racing at 3am into the pitch-black darkness, with visibility further reduced by overnight mist, and with the sheer speed difference between a Clio and an Aston GT3 adding to the excitement. Yup, tyres matter. And those who can use them best – and abuse them the least – have a real advantage here at the Ring. Are you watching in the UK? 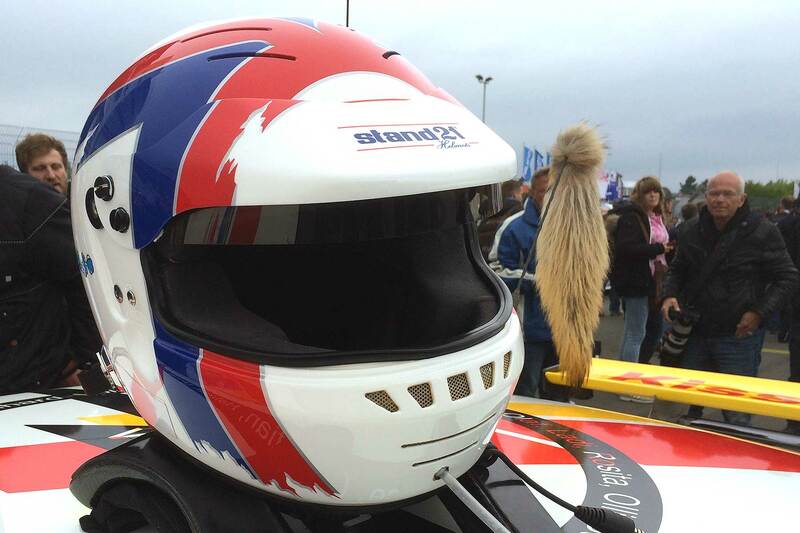 Jann Mardenborough is! Some charging around the circuit has left me rather chilly and very satisfied. You can’t beat seeing racing cars live: hearing them, smelling them, even just feeling them as they thunder past. And the beauty of driving over meant I was able to pack my big coat, so can rock into the forest later in cheery warmth. Result! Top tip: want to watch the race live? Head here. Cheers, Vodafone. 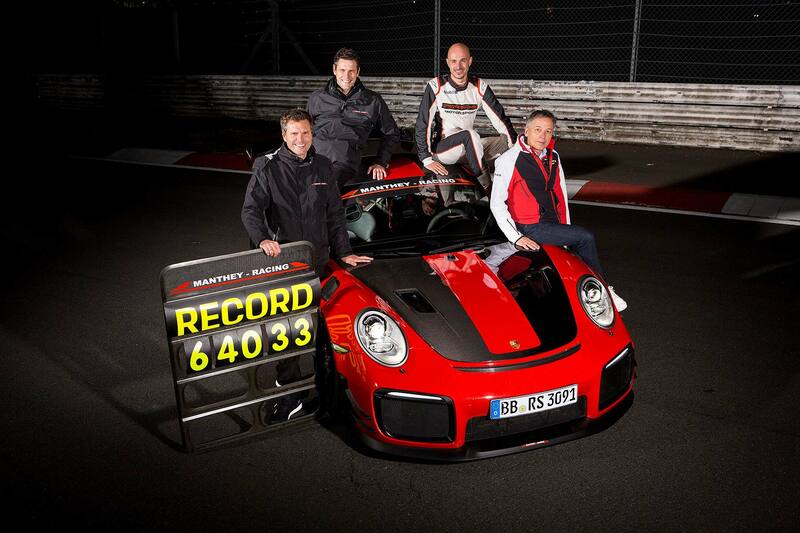 Radio Le Mans doing a grand job as always – winning praise from racing champions no less! It’s raining. It’s all kicking off. Cars are going off. Game on. This place is scary and challenging enough even in the dry: having driven it earlier, I honestly can’t imagine what it’s like in the rain. It’s raining particularly on the long Dottinger-Hohe straight; it must be headed this way, on the start/finish straight, because it looks like winter up there. This is why racing drivers are a different breed, John Hindhaugh just said. Hear, hear. What a first hour that was. Initially, the BMWs were running away with it, but then, within a lap, the Bentley had caught them and was bullying for the lead. The rest? Eight seconds back in a 16-car train back to 20th place, with 21-on not far behind that. Epic, uber-close stuff that had even the Radio Le Mans crew not quite believing the pace and closeness of it. It all got a bit mixed up in the pitstops, and now the race is going to be a whole lot harder to follow. this is where you’ll need the commentary, and this is why I’ll be ducking back into AMR box 30 regularly throughout the night. But now things are setting down for 22 and a half hours of action, I plan on going for a wander later on. I’ll just wait for darkness to roll in and might then grab a beer or two with the most vocal nearby crowd, and see where it takes me. What’s the worst that could happen? 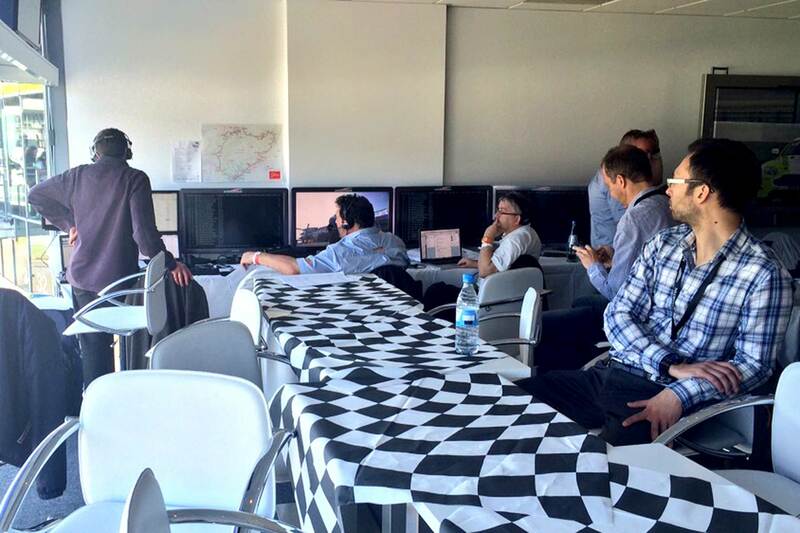 15:50: The media centre Best of luck wishes to the team from Dr. Palmer have just landed via Twitter: he’s been getting stuck into everything here since his arrival – a properly curious CEO. Good to see. The race gets underway in 10 minutes’ time. I’m enjoying nuclear-speed wifi here at the media centre, but still might depart for the Aston Martin box. Why? Because Radio Le Mans is broadcasting live from there and I want John’s insight over the first hour or so of the race, to help me get up to speed for the night ahead. See you in a bit! Grid walk done. 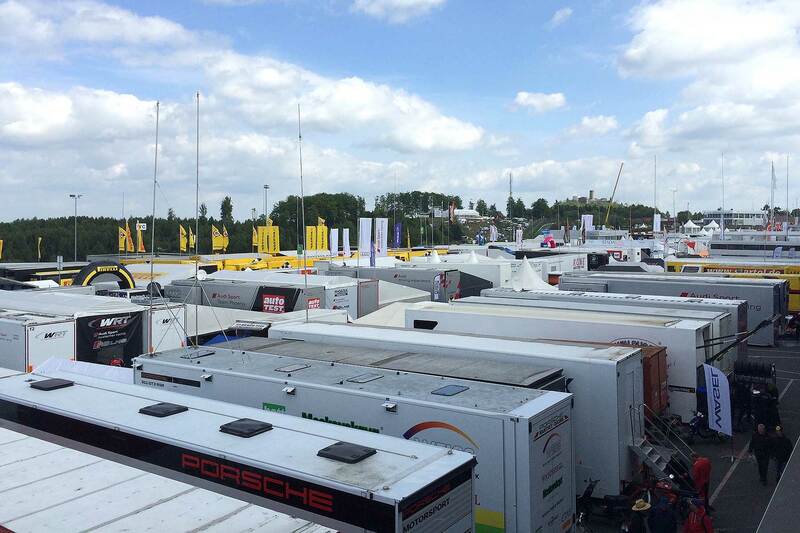 Like all things N24, it was huge, with a billion people and a thousand race cars. Took us a bit to get on, mind – one of the ladies wouldn’t let us on with our media passes. So we went to a different gate who waved us on without hesitation. Go figure. I started at the back, to research cars I could race. Renaultsport Clio, maybe? Or a Volkswagen Golf GTI? Further up the grid, it was a bit like those images of Black Friday madness in the UK: people everywhere. Stealth-like, I took to the grass on the edge of the circuit and quickly made my way up to the front. 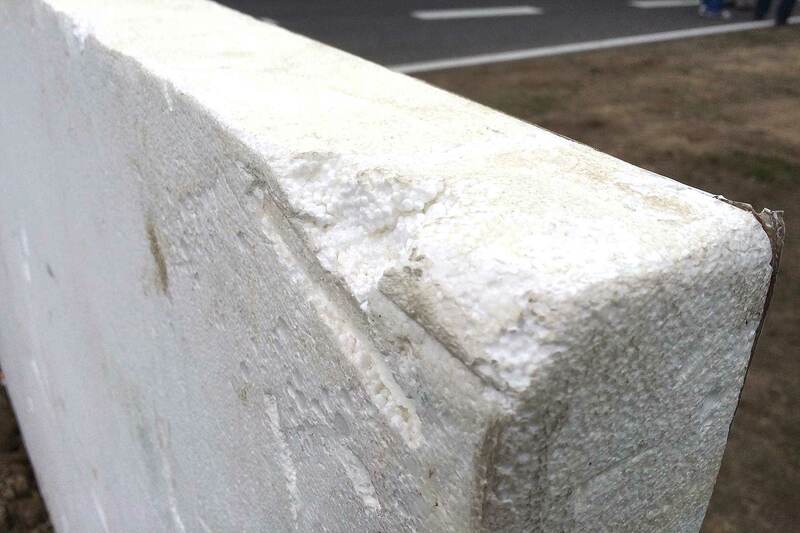 Just in time for the grandstands to cheer the MarcVDS guys sitting on the armco to celebrate their pole position. A little further back, David Richards was checking out the #007 Aston, and Pedro Lamy was giving it the once-over too. He’s a multiple winner here so must fancy a shot in the race. Another tiny detail too. 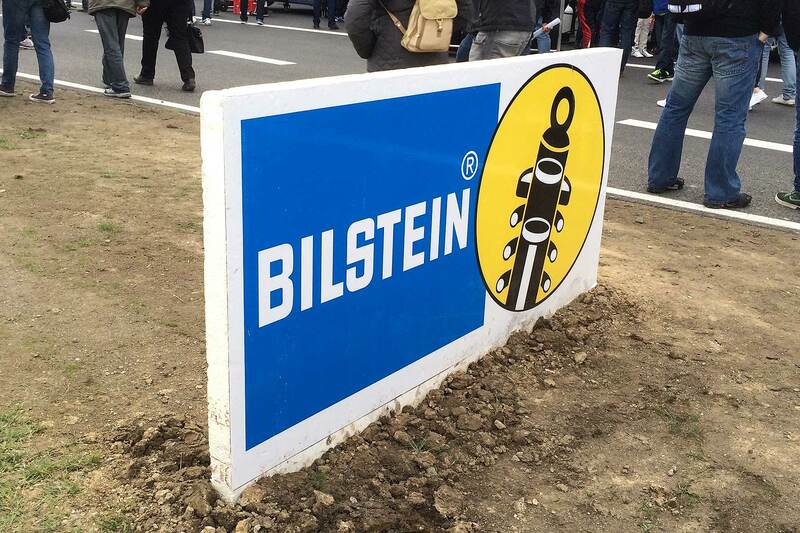 Know those concrete-looking Bilstein signs on the start/finish straight? Don’t worry, they’re not actually concrete. Inbuilt damping’s guaranteed. I’m now properly shaky-hand thrilled. I’ve just driven a lap of the Nurburgring. And it was beyond-wildest-dreams cool. It was an Aston Martin special – somehow, they pulled a favour with their mates in race control and secured 32 road cars a chance to drive a lap of the full Nordschleife. Led by Dr. Andy Palmer and Marek Reichman in the Vantage GT12, we waited for a little while at the end of Dottinger-Hohe and then, just like that, pulled onto the race track for a full-bore lap. The lap was in the V12VTE I drove across in, adding to the authenticity. And what was it like? With thousands of crowds, endless tents, race hoardings, advertising, barbecue smoke, air horns, flag-waving marshalls and even the speed control zone lights fully working, it was blinding. 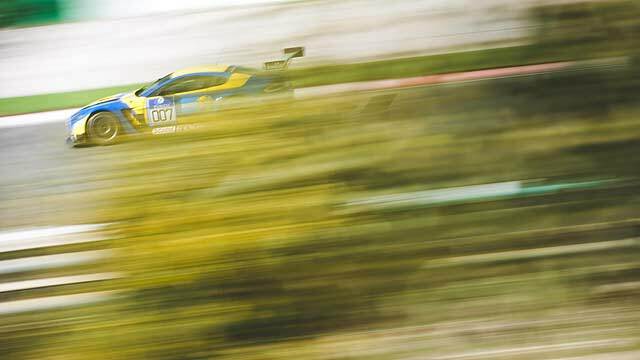 I came back delirious, mind totally made up: I have to race the N24 one day. To rock around at racing speeds for lap after lap would be heavenly – a challenge like no other, but a delightfully fulfilling one. More later, once I’ve calmed down. Top 10 for Queen of the Ring Sabine Schmitz in a Chevy Cruze! Corking battle over three laps to get it: super result. 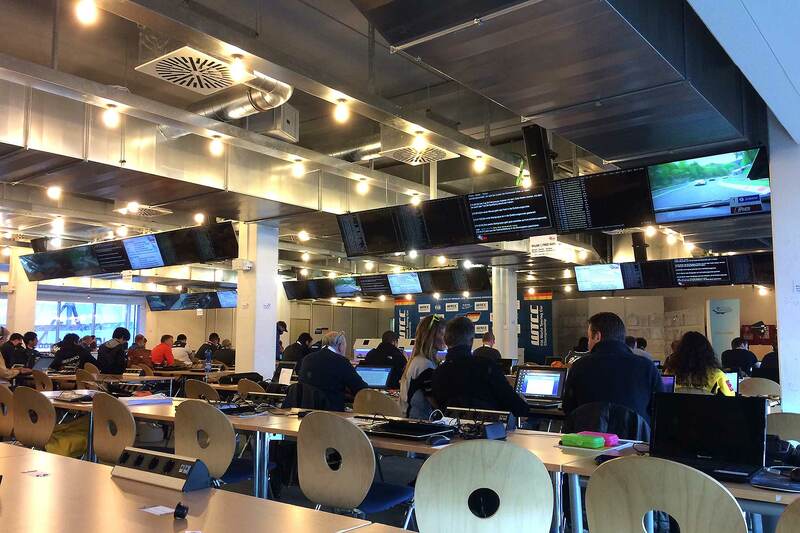 11:00: Media centre Watched the first WTCC race from the media centre. Instantly hooked. It was a blinding, blinding spectacle and I now want to start a campaign that encourages every form of circuit motorsport to race here. (Alan Gow, fancy a trip abroad for the BTCC boys?) 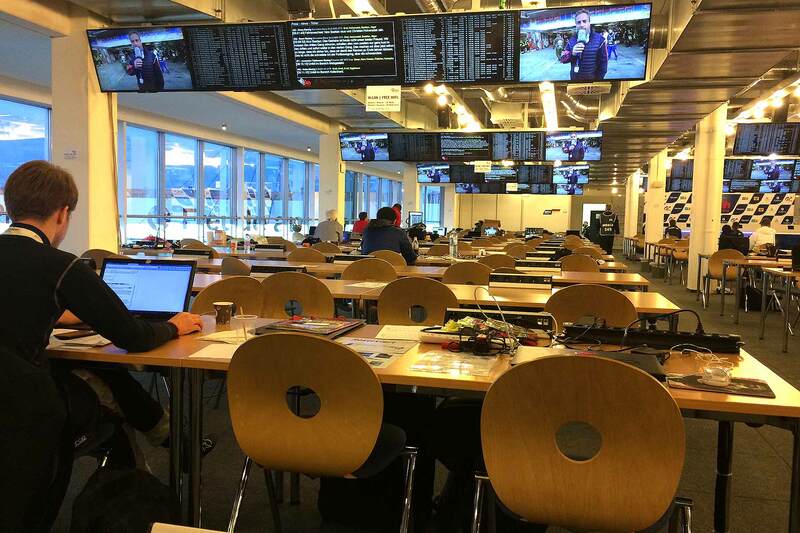 Everyone in the media centre was glued to the screens because not only were cars racing on this most awesome of circuits, the track itself was also challenging the cars in ways no normal circuit could ever do. Undulations, bumps, a multitude of camper changes, constant direction changes – this was racing cars looking at times a little bit like rally cars, and it was spellbinding to watch. Some ultra-smooth circuits make racing cars look slow. The Nurburgring has made WTCC cars look like thoroughbreds, and their drivers look like heroes. Whoever had the idea, make sure your team carry you above their shoulders later on, cheering. It’s been one of motor racing’s best and most innovative ideas in years. The onboards were particularly compelling, showing cars moving about in a way you’ll never see on the circuit. It’s been the perfect showcase of just how hard these cars are to drive, and what sort of talent is needed to make them inch ahead of the rest. The race? A Citroen 1-2-3, with Jose Maria Lopez leading Sebastien Loeb and Yvan Muller, with the Honda battling hard behind them. Battling hard on the Nurburgring? Yup, that was as ace to watch as it sounds too. And if you missed it, you’re in luck! They’re doing it all again for another three-lap spectacular soon. Do whatever you can to catch it. 11:00: Media centre Just met Jake from Team MarcVDS: his man Augusto Farfus is on pole for the N24, and so he’s rightly beaming. Get down to the grid walk and, if I can scrabble through the throngs, he’ll let me grab a quick word with him. I won’t ask him about his breakfast. I know that was good. A saunter through the pits and, my god, there are a few sore heads. To be expected, someone told me last night: a lot of them have been here a week already, with the fortresses deep in the woods to show for it. Apparently, someone even has a swimming pool. Rather impressively, there are a few people who are clearly still carrying on from the night before. It’s one way of preparing for a 24 hour race, I guess, although not one N24 polesitter Augusto Farfus would perhaps subscribe to: I saw him in the hotel this morning with his family, having the healthiest breakfast in the world after what was clearly a flawless night’s sleep. Let’s check back this time tomorrow to see who’s prep worked. I’m in my hotel room pulling a few things together. It’s been totally silent up to now: bang on the hour, a wall of sound exploded from the pits as a green light for gentlemen to start their engines illuminated. And now? 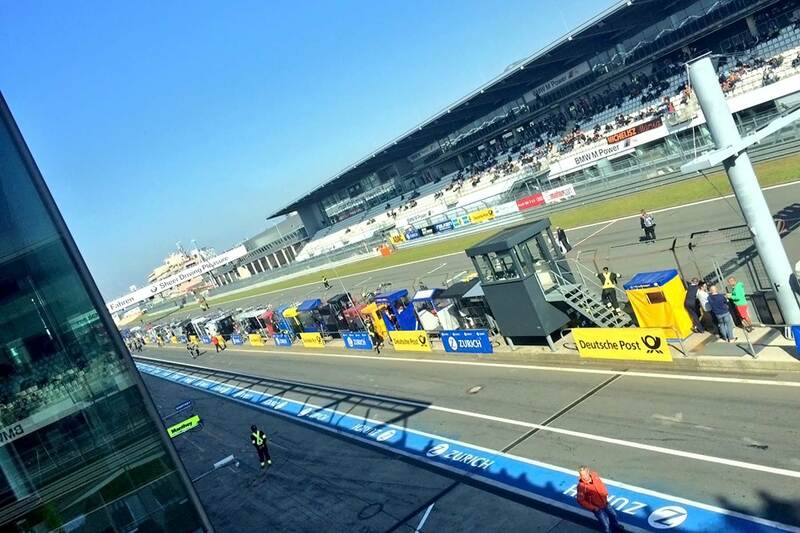 Silence again – it’s the WTCC cars lining up for what’s called a pre-grid, so they’re off on an out lap to be in place. Nice evening with the ever-enthused Aston Martin crew last night. Over BBQ food (healthy tuna for the drivers, less healthy steak and burgers for everyone else), Aston’s genuine love for this race came through. 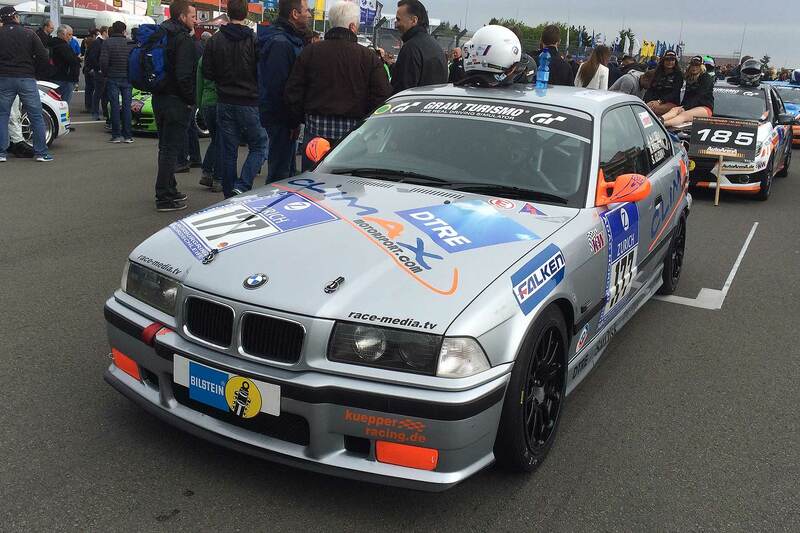 The firm first raced in the N24 in 2006, so this is its 10th time of competing. It’s never quite won it outright, but it remains a real ambition – “it won’t be easy, because the competition is huge,” said Dave from the comms team, “but we love the challenge and everyone works so hard for it”. I’ve been chatting to Aston’s chief creative officer Marek Reichman. A few weeks back, he was racing in the Britcar 24 Hours at Silverstone (he still has the cold to prove it). Done much racing before, I asked? As he told me about GT4s, historic racers, Formula Juniors like those Jim Clark used to drive, I judged that, yes, he’s done a little racing before. Did you know, for almost every year since 1995, Reichman has driven at the Goodwood Revival? Add in the string of Ducatis – and the house he had designed with a living room to place a Ducati centre stage – to see that he’s not just someone who oversees the design of Aston Martin, but also thinks a little bit like us as he’s doing so. That’s good to know. The first part of qualifying for N24 took place earlier: the top 30 drivers from that session have just fought it out to decide the final grid (and, as a reward for them all, each will carry a blue flashing light on their rear side window for the race, branding them as ‘fastest of the fast’). They don’t all go out for a defined session, F1-style. Rather, it’s F1 old-style: each car goes off at 10-second intervals, then has two flying laps to set a fast time. A ballot was drawn to decide the first one out. 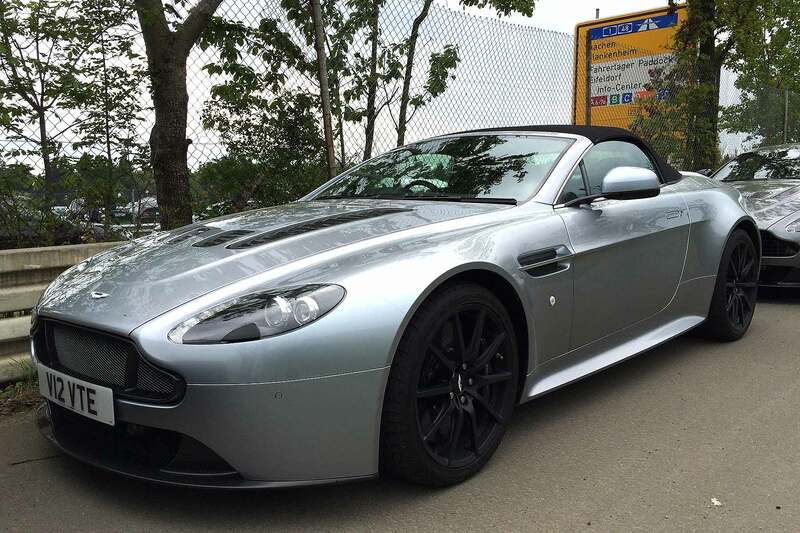 The #007 Aston of Stefan Mucke was drawn, and so gently eased away. Why gently? 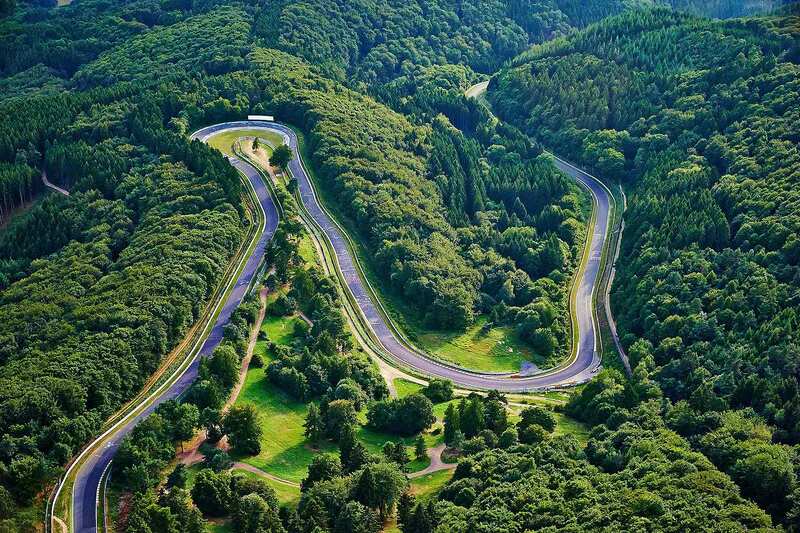 Why, because this is Nürburgring: even an out lap is 16 miles long. He thus took 50% longer to complete it than the subsequent two laps. I wasn’t excepting it to be as exciting as it was. But, because there are 30 closely-matched cars taking part, over two laps, with each split in five different sectors mattering, there was something going on all time for 40 minutes. I’ve been swotting up on my classes. Because, in the N24, there are loads. Le Mans 24 Hours, with simple LMP1, LMP2 and GTs? Pah! The N24 seems to have a class for every entrant and, when there’s more than 400 of them, that means a lot of classes. So, here’s an attempt at an explainer. Overall, there are four key divisions – Specials, Series, Cup and Historics. Specials: pure race cars, headed by GT3s, GT4s and specials. 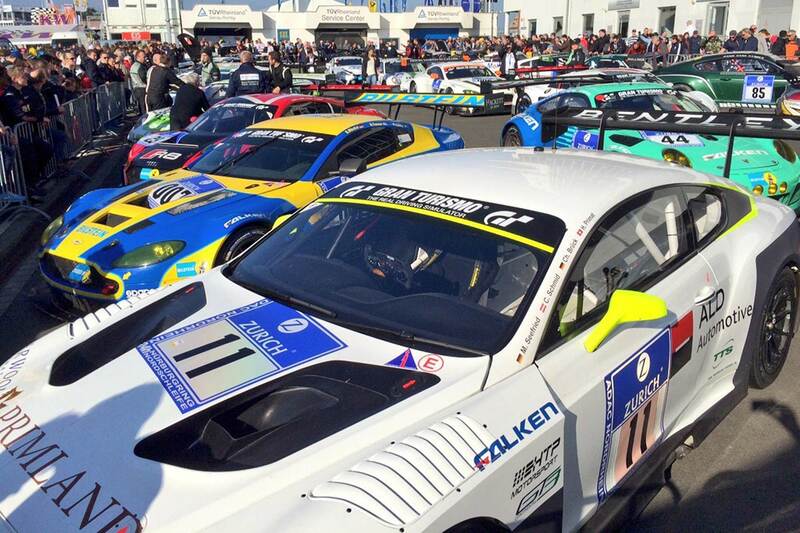 There are 10 specials classes – SP1 to SP8, plus SP8 for GT3s and SP10 for GT4s. As such, it’s the SP9 and SP10 cars that are the quickest of the field. 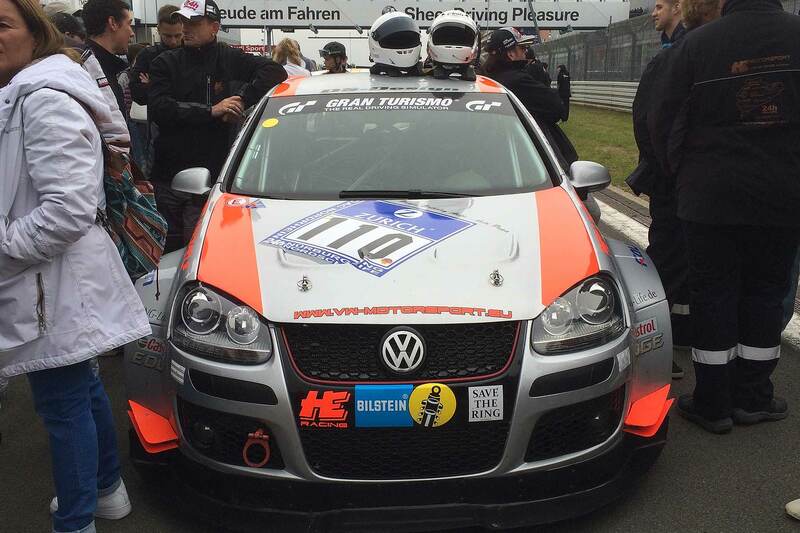 Cup: for one-make race cars, again often taken from the VLN. 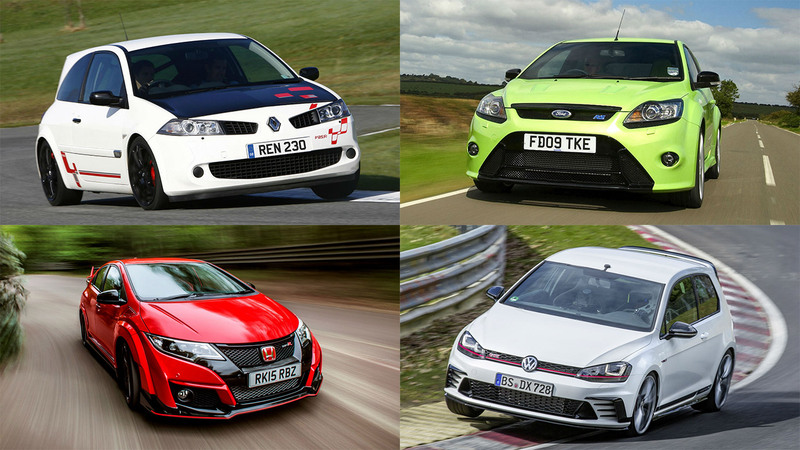 This year, there are two Cup categories: Cup 1 is for Opel Astra OPC Cups (Vauxhall Astra VXR), Cup 5 is BMW M235i Racings. Historics: for cars built in 1996 or before; there are four ‘H’ classes, dependent on engine size. I’ve made it. Early alarm call and cross-country rush, then leaping onto Eurotunnel with microseconds to spare, then straight on the road and… well, into a French service station for a tankful of bleifrei and some super octane coffee. Then it was on the road – E40, E42, wiggly bits in Germany – to the Nürburgring. It was a sublime drive because the lords were smiling on me and encouraged Aston Martin to loan me a V12 Vantage S. My first proper ‘grand tour’ and I’m now yearning to do it again. Downsizing is fine but when you’ve got Europe to tackle, you generally want the muscle of a honking great V12. It did 23mpg too – not bad, considering the Euro-spec speeds; I did it on a tankful and didn’t even need to drive in on fumes. The orange light wasn’t even on. I came out with Aston last year and we stayed in the Dorint, right next to the track. I’m doing the same this year and it’s equally as amazing, particularly as every room around me seems to be filled with someone motor racing-ey. Brilliantly, the design is very period and, for added 1980s authenticity, it hums of fag smoke and there seem to be bars everywhere. I love it.